Description: Forest Park Collection II. 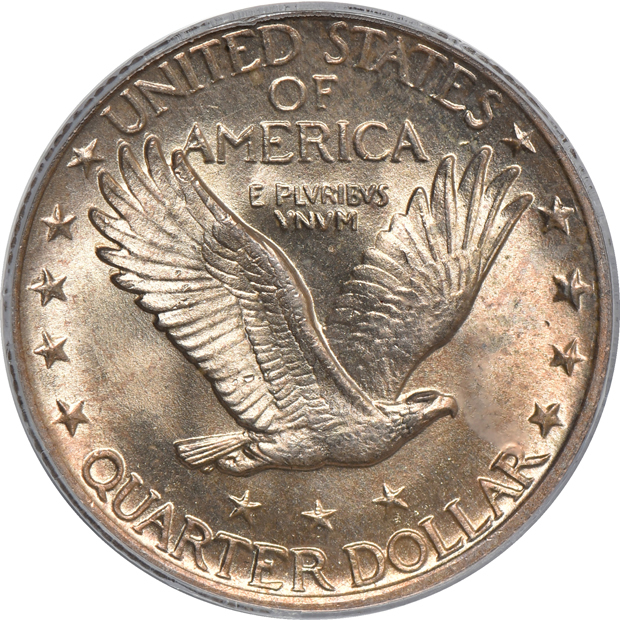 87 graded MS-65 FH, 74 higher at PCGS. 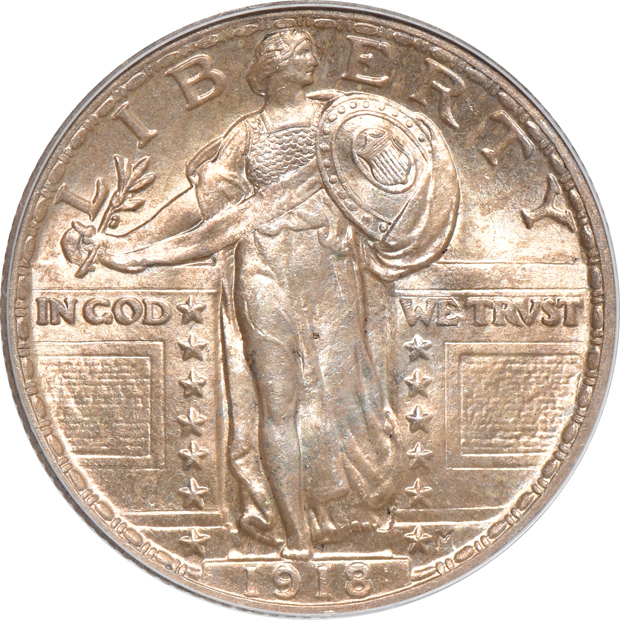 The population of "gem" examples for the high-mintage (14-million) 1918 quarter remains unexpectedly compressed with a "full head" designation. By 1918, the new quarter was no longer all that new, and the mints tended to produce them indifferently. Not so, this colorful, highly lustrous example, as it displays phenomenally sharp details at Liberty's head and completely outlined rivets on the shield. The intriguing bronze-peach color that shimmers around either side varies little in intensity from side to side, although it tends to thin a bit toward lavender accents on the highpoints. Any collector who seeks a pleasing, and virtually fully detailed example of MacNeil's famous design need look no further.